If you are a Honda fanboy who knows a lot around Honda-related websites, you will know the guy “RolledaNSX”. 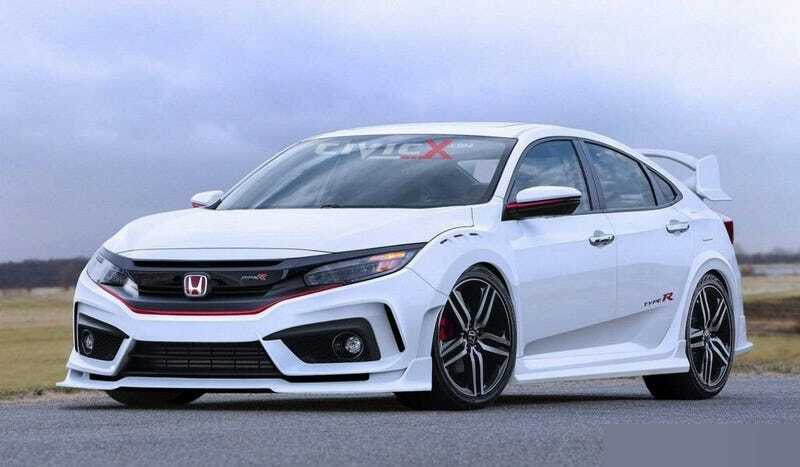 According to this person, next-gen Civic Type-R will be bringing back the sedan version and this version will be built in Japan starting from 2018. Well, there are hints on why Honda might be bringing back Type-R sedan. 1. Honda did made a sedan Civic Type-R before. Honda did a sedan version of 8th-generation Civic’s Type-R model before, using the Asian market Civic as its base. It was a moderate success but garnered tons of fans. Some reviewed the Asian sedan version A LOT better than the European 3-door hatchback version. 2. There is still a competition for this type of sports sedans. The 300+hp small sports sedan market isn’t dying yet, yet have seen small resurgence in modern days. Subaru deleted the hatchback from the WRX and STI range, making them sedan-only, yet Audi and Mercedes-Benz bring in their respective S3 Sedan and AMG CLA45, thus making up stiffer competition we’ve never seen since early 2000s. This could be an ideal time period for Honda to bring back Type-R sedan to steal sales from the Boxer Pleaides and Silver Arrows. 3. Global market’s (still) strong preferences on sedan bodies. The global markets outside Europe still prefer sedan bodies over hatchbacks, and a hot hatch may never catch up due to this reason. A sedan version could boost the sales even more, considering this. Subaru has discontinued the hatchback version from WRX and STI range for this reason. But Honda can bring up sedan version of Civic Type-R alongside the hatchback version, to boost sales, without discontinuing the latter. 4. The Japanese car geeks generally mentioning the sedan version more. Among discussions on the revival of Civic in Japanese Domestic Market, the sedan versions are the most mentioned ones, and you can hardly finding any mentions of hatchback versions, leave alone the coupe which is really rarely mentioned. With the new Civic targeted at middle-aged businessmen (in Japan), this could justify the reason. For now, these are just rumors and hints. And only time will tell if it’s true or not. But are you the one hoping for Civic Type-R sedan to return alongside hatchback? Are you looking forward Civic relaunch in Japan during 2018? Have opinions below!